Tom, my playing partner, gave the message about Royal St. Cloud even before we hit the pro shop. ST. 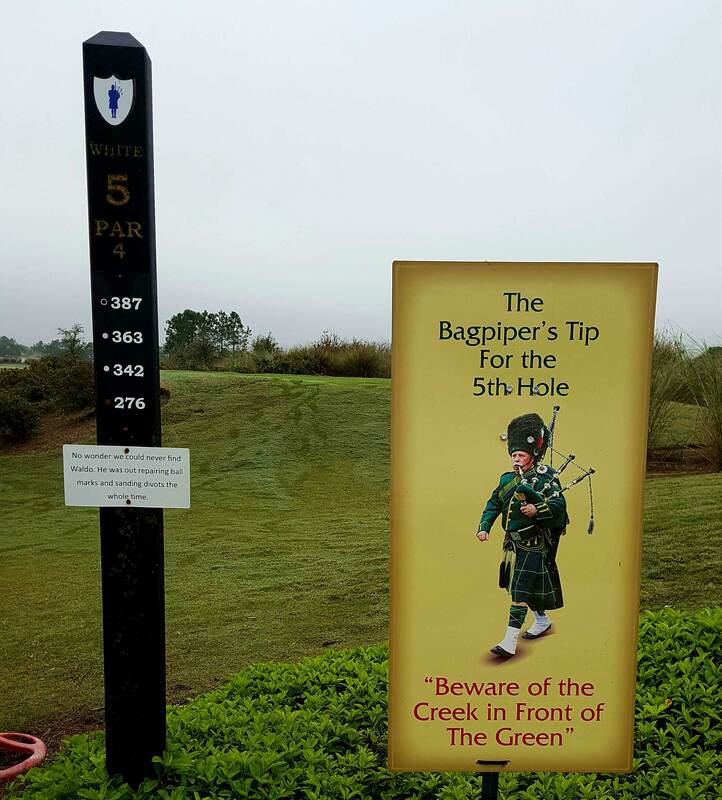 CLOUD, FLORIDA – The story of the Royal St. Cloud Golf Links started ominously. Its grand opening came two days before the horrendous 9-11 terrorist attack in 2001. The 18-hole course was known as the St. Cloud Golf Club then, and the designer was Chip Powell. That’s where facility’s connection with Illinois began. Powell was a product of both Danville Community College and Illinois State University before starting his golf architectural business in Florida beginning in the early 1980s. Powell created the course for St. Cloud’s original owners, who sold it two years later. 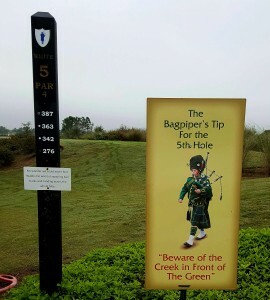 Then the Illinois influence became much stronger and the outlook for this layout – a 25-minute drive from DisneyWorld – steadily improved until now it’s one of the busiest courses in the Orlando area if not all of Florida. Royal St. Cloud’s general manager Bill Filson. He grew up in LaGrange, the son of the long-time superintendent at Illinois Masonic Children’s Home. 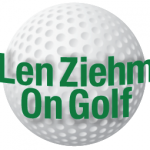 Filson learned his golf from the late Tom Byrd, the head professional at Timber Trails, and – after 4 ½ frustrating years trying to be a competitive playing pro – he joined Trey Van Dyke’s staff at Oak Brook Golf Club. This well-adorned tee box is typical of the special touches offered at Royal St. Cloud. Filson quickly went from assistant pro to teaching professional and one of his students was Hinsdale resident and successful Chicago businessman Tom Butler. They decided to buy the St. Cloud course, and Filson ended an 11-year stint at Oak Brook to move to Florida and become the face of the then renamed Royal St. Cloud Golf Links. A PGA professional for 24 years, Filson’s role is much broader than that of the usual GM. First order of business when he arrived at the facility was rebuilding the original 18 holes. Filson did that while working with Powell. Next came the addition of a new clubhouse, which opened in November of 2008 with its popular Stone Bridge Tavern & Grill. Blessed with plenty of open space for expansion, Butler and Filson didn’t see the need for a second 18-hole course but opted for a third nine. Filson, again working with Powell, designed it and they had it up and running in 2009. The Deli Tele provides each golfer with communication to the Royal St. Cloud clubhouse. The original 18 was then marketed as the White and Blue nines and the new one became the Red nine. It’s clearly the most challenging. The White is generally regarded as the easiest, but all three nines are comparable and the mixture leads to a nice variety of playing options. Just the fact that it has a links feel sets Royal St. Cloud apart from the other courses in the area, and having the luxury of three nines adds to that. Each of the nines is a par-36 and only 43 yards separates the shortest (on the White course) from the longest (on the Blue). The fairways are generous throughout but there are special touches. Each hole has a name, some examples being Wake Up, Mouse Trap, Nesse’s Back, Brent’s Bridge, Hookenfacher’s Nose, Gauntlet of Palms and Oliver’s Field. Their stories are told on unique signs, which provide reading material throughout the course. 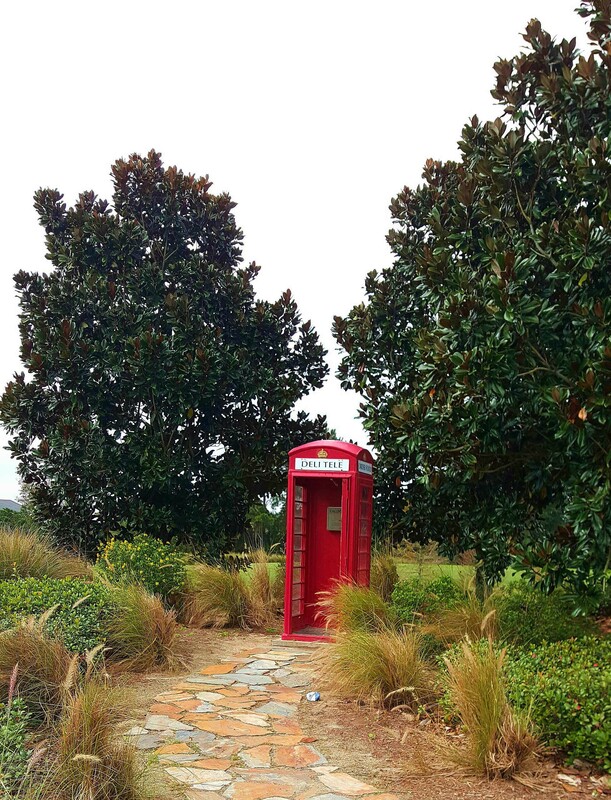 Then there’s the Deli Tele – authentic British shiny red phone booths that golfers can use to contact the clubhouse to place food orders. 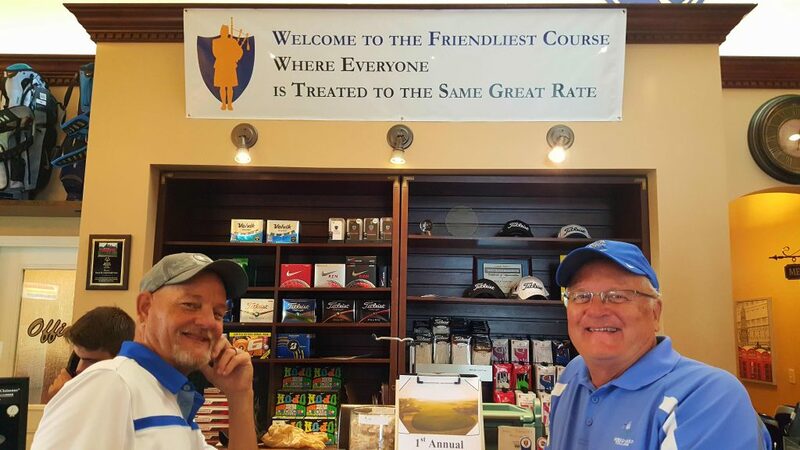 A member named Tom, who became a most pleasant playing partner, said the food is great. We didn’t have time to find out on this visit. Special touches aside, it’s not hard to see why golfers like Royal St. Cloud. For one thing the price is right. (The highest 18-hole fee is $35 in this first month of the winter tourist season, cart included). We played on an overcast Saturday, waited on most every shot and had no reason to complain. Tom said a packed course is commonplace, whether it be on weekdays or weekends. The course design kept your attention, the conditioning was good and the service friendly. There’s a name and a story behind most every hole at Royal St. Cloud. Filson reported Royal St. Cloud had 77,000 paid rounds in 2015 and that impressive number was up by a full 11,500 from the previous year. Membership plans are available, but Royal St. Cloud is a stand alone golf facility. Unlike many of Florida’s better courses, it’s not part of a housing complex. 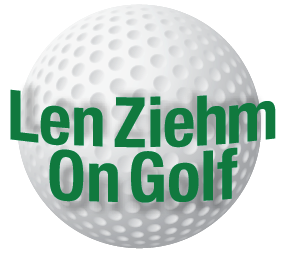 “This course was built by a golfer for golfers,’’ said Filson, who is turned off by reports of his sport’s struggles in recent years. “There are 28 million people still playing our game,’’ he said. Chances are there wouldn’t be many negative industry reports if there were more Royal St. Cloud Golf Links out there.